At Rick Buller Financial Services, LLC we believe in capitalism and in the markets, but we also consider current market realities. Optimism is good in life, but can be damaging in investing. Realism is the key. You deserve easy-to-understand, timely information on your investment options. But with the massive amount of information available today, it can be difficult to determine what is relevant and what is not. 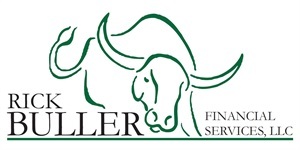 Rick Buller Financial Services, helps you filter through the myths and jargon, so that you can take control of your financial game plan and make educated decisions about your future.